In 2009 The Dent Folk Festival moved to a new site just down the road near Sedbergh, England's book town, as it had outgrown it original site in Dentdale. The new site is a stunning location under The Howgill Fells and the move proofed a huge success and a great new home for the festival. Hence we have decided to change our name to better reflect where the festival is now held. The festival is still organised by the same dedicated team, all that's changed is its name. The festival is widely regarded as one of the best small folk festivals in the country with a very friendly atmosphere. 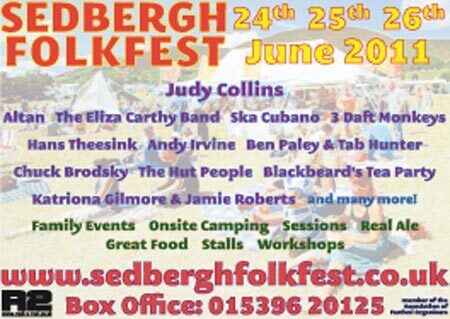 A weekend of family fun set in a beautiful location on the the western edge of the Yorkshire Dales National Park.